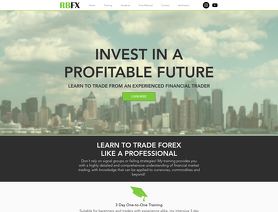 ReubenBlameyFX is a company providing private mentorship programs in foreign exchange currency trading. Our mentorship course is open to any individual regardless of experience level or location, and provides all the necessary skills and knowledge needed to start your journey to profitability within markets. Knowledge taught can be applied to a wide range of financial markets, from FOREX to futures and beyond. I came across Reuben on Instagram, after following him for a while I liked the look of his trading style. The course is very detailed 4 day course and taught in a very simple and easy to understand way. The stand out thing for the course for me is the ongoing support and weekly webinars. Reuben also offers catch up sessions to review your performance after the course which is great for feedback. Don't miss out on an education with Reuben Blamey!! Just finished up with my mentorship with Reuben. Incredible value and content provided. Much like many other inconsistent traders, I had jumped from one course to another with little guidance. Many trainings leave you with a plethora of videos to watch with no one to answer questions. RBFX was the complete opposite. We sat together for upwards of 8 hours a day, going over every item you could think of. He’s always available for a quick call and responds to messages promptly. He really puts his students first and it shows through this course. Highly recommend. RBFX is excellent, will teach and support at every phase. A few weeks prior to this course, I had minimal knowledge of the trading environment, however, I can now happily say that I am confident with analysis and market structure. I would strongly recommend this course to anyone who would like a boost in confidence when trading and analyzing the markets. After spending a long time trying to find a good forex mentorship course, I decided to book myself in with RBFX. Reuben has a deep understanding of the forex world and coupled with his many years of experience, this makes him a great mentor for anyone at any level. The course is incredible value for money, whilst at the same time providing incredible content. I wholeheartedly recommend RBFX to anyone considering Forex mentorship. Reubens course and mentoring is excellent. I came to Reuben after trying an signal guru (failed) and followed him since a year on Insta. I always watched his "charts of the week" which have been successfully all the time. After trying learning on my own without success, I thought I need some professional to guide me threw trading and charts. Reubens course is more than that. I really enjoyed the 1 on 1 trading which I thought would be difficult because I am from AUSTRIA and English is not my main language. But he takes time to explain me everything in detail even if I do not understand things at the first time. Now, after the course he is my mentor and I can ask him everything I want and this is really worth everything for me. I can definitely recommend his course and mentoring. Best decision I have made on my trading journey so far. Reuben's course is by far the most detailed I've come across. His knowledge of the markets is very clear, and the way he breaks things down is on point. The book he has written is a work of art. I would recommend this to all regardless of experience level. RBFX - 5 STAR TECHINAL TRADING COURSE! As someone who had no previous experience in trading whatsoever i came across RBFX on IG, when i contacted Reuben i explained that i was completely new to the trading world and he assured me that his course would be the perfect oppurtunity to start my journey on becoming a competent trader, he was not wrong. Reuben made every minute of the 3 day course enjoyable and easy to understand , his 'traders manual and study book' of which every student is given, reinforces Reuben's teachings in depth but still has been written to accommodate for those new to forex. I would highly recommend the RBFX technical trading course to anyone, whether they have trading experience or not. Great course. Would 100% recommend. Thanks Reuben. I came across Reuben on Instagram while scrolling through numerous other people offering forex courses. I can honestly say I am glad I chose to learn from Reuben. His patient, honest and professional approach made learning from him easy. I was impressed with the course and the text book that you get also. It is clear and looks professional and allows you to go back over things if you have forgotten and need a reminder. You can see the hard work that has gone into the course, both with the course book and his website. Would definitely recommend to any one looking to get into forex trading or anyone wanting to improve their existing knowledge.